BTL VANQUISH ME™ is the second generation of contactless technology for fat cell disruption. The device has the largest treatment area in the industry, ensuring an unrivaled level of patient comfort and safety, without BMI < 30 limitations. 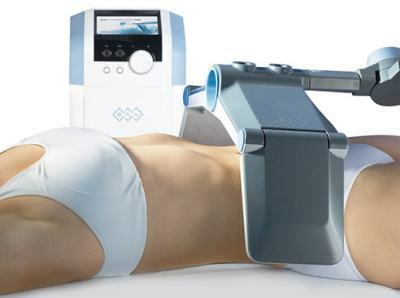 Unlike other body shaping procedures, this therapy isn´t limited to a BMI 30. A full flank to flank body treatment - leaving no unevenness or lines of demarcation. Non-invasive & no downtime - so you can carry on with everyday life after a treatment session. Due to the industry’s largest spot size, more fat can be removed from a patient at a lower cost. Using the patented Selective RF™ technology, BTL VANQUISH ME™ allows physicians to reduce the circumference of the entire abdominal area, or inner and outer thighs. The BTL VANQUISH ME™ procedure disrupts fatty cells through the selective heating of adipose tissue. The process leads to fatty cell shrinkage and elimination. Bring 3, get 1 FREE To show our appreciation, refer 3 guests who book appointment and get 1 FREE facial for yourself! We require 24 hours notice for cancellation of treatments. We reserve the right to charge the full service amount for all missed appointments or late cancellations. A credit card number is required to hold your reservation.